Aokiji VS Fujitora? Who Wins? The Battle opens Now and closes April 8th. Rules and Guidelines can be found here and here. Edited by Relinquisher, 30 March 2015 - 04:03 PM. This would be a truly devastating battle, no question. Probably on a scale similar to Akainu vs. Aokiji and resulting in a hugely changed environment. The way I see it, Aokiji will ultimately come out on top, although only after a really long and hard fight, sustaining quite grave injuries. Fuji has, with his clash against Sabo, shown his ability to take on Logia with next to no problem, meaning that he definitely won't be steamrolled by Kuzan. He also has the habit of summoning vastly oversized meteors when trying to change the tide of the battle. Something Aokiji may have trouble dealing with, considering that his ice isn't the best counter against hot materials (it was instantly melted by Akainus Daifunka) and the sheer size of the one Fuji called during the clash with Law and DD may prove problematic by itself. The gravity power itself is also pretty nasty to fight against, as you'd have to overexcert yourself to even get near the opponent constantly pushing you or your attacks away. Especially the technique used against Sabo (the one which pushed him sideways) will be hard to deal with, moreso for Aokiji since he is a solid Logia unlike Sabo - meaning that he will be more affected by it than a gasoid/liquid one. As an interesting note, Fuji can utilize a special form of flight by directing his gravity against the ground - which is potent enough to casually levitate a warship over a great distance. However, Aokiji has, all things considered, more and better feats regarding size, result and his own endurance. For instance, instantly freezing the two tsunamis heading for Marineford is still one of the biggest on-screen displays of an attack with an area of effect, as is him freezing the entire bay of Marineford the moment he landed on the water, or, previously, freezing the gap between the separate hills of Longring Island - making him almost immune against that particular weakness of all DF-users. With this and Fujis levitation, the area doesn't matter at all, since the sea isn't a real threat to neither of them. As for the results of his attacks, if not treated immediately, being frozen will make the affected body part loose its function permanently, as was pointed out by Chopper when thawing Robin and later also confirmed by Buffalo when DD managed to break free just before his heart went solid. This means that, once Fuji is hit and can't get rid of the ice fast enough, he won't be able to use that particular limb for the remainder of the fight. Which, in the long race, will lead to him eventually being turned into a popsicle. As for the possible scale and long-term results of his abilities, well, Punk Hazard is all that really needs to be mentioned. If he really goes all out then Aokiji is a genuine threat for the planet - just like Fuji if one thinks his gravity to the ultimate conclusion. Just that Aokiji has the on-screen results to back it up. Finally, being able to fight Akainu for 10 days currently is, as far as stamina and endurance goes, the benchmark for One Piece which has yet to be equalized. And somehow I don't see Fuji quite matching that, probably because he appears to be the older and less nimble of the two. All in all, Aokiji takes it with one or two crippling injuries, while Fuji is on the verge of death or already past it. Did you consider Aokiji's lost limb, and if you did how much of a difference do you think that makes ? Also, as a solid Logia, can Aokiji force his way in close range to use his most potent freezing techniques ? I think it equalizes the playing field, if at all. None of the characters with a lost/prostethic limb/part of their body have been shown to loose all that much of their ability to fight. Not even Zeff, who mainly due to having lost his entire crew and having lost the will to go pirating again, not primarily because he had lost his main weapon. Also, Fuji is blind, so unless he gets into direct contact with the leg of Aokiji (which, in return, means that Aokiji himself is close enough to insta-freeze him) he won't learn about his opponent actually having a prostethic. However, if he does, then he'd be well adviced to make it his prime target, since it is a weakness, and no small one at that, since crushing it would force Kuzan to rebuild it - giving Fuji some time for another attack. As for solid Logia being less suited to fight a gravity-based power, well, that's something worth pondering over. It probably depends on the battle grounds. If Kuzan has the time to freeze the grounds, then he'll have an easier time to move through it and sneak up on Fuji Monet-style (I'm almost 100% that part of the reason PH looks the way it does is due to both Kuzan and Sakazuki employing this tactic). If not, then Fuji has the advantage, especially since he can, if need be, levitate himself out of there - whereas Kuzan can jump only so high, leaving himself exposed in the process. Aokiji wins imo because he has more solid feats against top tier fighters. Not that i believe that Aokiji would lose as much strength since he's less focused on using his legs in combat, but it's probably worth considerations as something that would impact his combat ability to some extent. And even claims that he'd be able to tell the ways of the clouds, and it comes as a surprise to him that he could be wrong in that aspect. Would he not be able to track Aokiji's "weakness" without relying on his vision ? Has Sanji ever seen Zeff fighting for real, though? 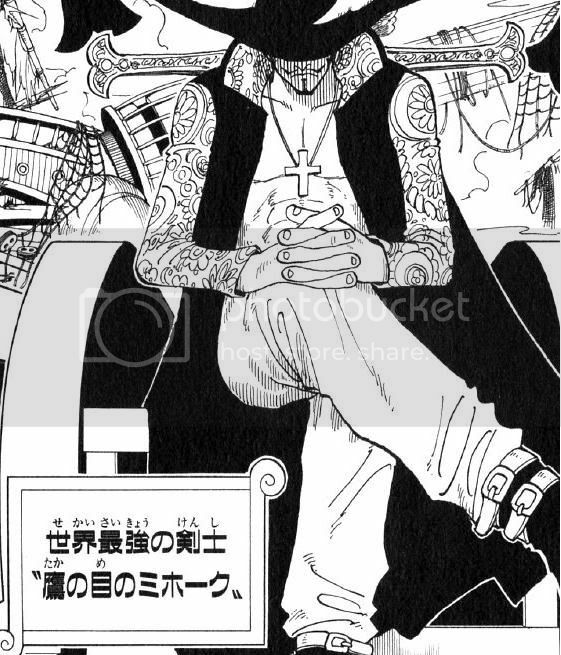 Given how Don Krieg was actually fearing Zeff and not at all subtly admiring him for making it out of the Grand Line as a famous pirate (instead of the wreck Krieg returned as), I somehwat doubt that Zeff has shown Sanji all he amounted to back in the days. and, going all out in that situation would likely have endangered the Baratie, his very own dream. So it stands to reason that, while definitely not in his prime anymore, he could have dealt with Gin by himself had the situation really required him to. He might be able to make out the different sound a fleshy and an icy leg make and deduce that Aokiji may have both - but personally I wouldn't peg this as the reason why he could come out on top of Kuzan. He simply has too few feats that measure up to Marineford and Punk Hazard. Let's look a bit further into it then, shall we ? As you said, Krieg is in incredibly impressed by the legendary Red-Leg Zeff, "peerless pirate and cook" to quote his exact words of admiration. Incredibly impressed of his legend, that is. He immediately points out that in his opinion Zeff is currently solely a cook not by choice, but forced by his injury. "With the way you are now you can't wear your infamous Red Shoes". We basically have consecutive pages of Krieg contrasting Zeff's glorious past to his current state, reaching the conclusion that as he is now he would not longer be able to fight. Zeff himself agrees with him, saying that he may not be able to fight anymore but he still has his hands so he can dedicate himself to cooking. Even when demonstrating that he still has the ability to fight to some extent his speech incorporates admittance of a decrease in overall combat ability. He can still handle this much even though he lost a leg. Admitting that he can't be a pirate anymore without his leg. It's clearly not the only reason and even weakened he might have continued if he had his crew, but it also plays a role in his decision. Would you agree with this ? What's the chance for this to be a coincidence, and to what extent the particular match-up can make two individuals appear as closer in overall strength than they actually are ? If we take a look at Punk Hazard, the island is half affected by Akainu's DF and half affected by Aokiji's, so is it not entirely possible for most of their duel to consist more so of a clash between DF powers, a showcase of DF mastery, making less apparent the possible superiority one might have when it comes to other stats ? Another interesting note is that Ace matched Aokiji's named technique back at MF with his own, while being significantly more vulnerable to Akainu's DF power. Does that not work as an example of DF power match-ups aiding in closing the gaps between individuals when it comes to certain fights ? Edited by Sanji, 31 March 2015 - 12:02 PM. Trouble with Admirals match-ups is they fight too little. Hard to establish a medium to compare between them. Something Aokiji may have trouble dealing with, considering that his ice isn't the best counter against hot materials (it was instantly melted by Akainus Daifunka) and the sheer size of the one Fuji called during the clash with Law and DD may prove problematic by itself. You made a mistake here (or not, but I'm gonna post this anw in case some don't know). 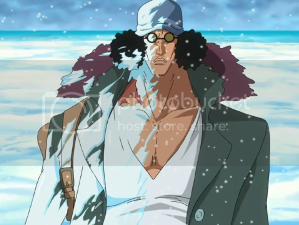 Aokiji's element is not ''ice'', it's ''freezing''. He is called Freezing Human (氷結人間 Hyōketsu Ningen). In Chinese that would be ''Ice-forming Human'' (word by word translated) but Japanese, freezing. His element freezes water and makes ice, ice is just a product from his element interacting with water or whatever, in simplest term. The ice is melted but the freezing won't be and that's how PH is divided into two perfectly equal-sized environment because his freezing and Akainu's magma are a match. Recall when he froze the tsunamis? What came out of his body was not solid ice but something that looks like ''substance that looks like cold air'' or whatever you call it but it's pretty fluid (hope my eyes don't trick me). I guess the ice appears on his body is frozen air (just how cold is his freezing?) but the point is he's capable of producing that fluid and THAT is his actual element. Of course, regarding the point about Fujitora's side-way gravity pushing solid matter, I don't know since Aokiji never fully transforms into that fluid freezing element but I don't see much problem with that since Aokiji can push with physical force. I don't think Sabo's being fire has anything to do with going against that technique to be honest because the side-way gravity should affect it, too. I mean throw a wood branch that is burning with fire up into air and when it falls, pretty sure the fire falls with it (or scatters but the point is it would still fall down). The side-way gravity is the same and it should push like wind, if you don't mind such imperfect analogy. Sabo simply launched himself with jet fire like an air plane + his own legs' strength IMO. And being an Admiral-level fighter, Aokiji should have no problem doing the same (well, there's no jet ice but...his physicality and AoE tech would help). Now, what about Ace? Well, Aokiji's pheasant technique seems to have ice in there so I wouldn't say it's his best freezing skill. ''But it has his epithet in the name''. Well, Akainu's dog-shaped magma attack does not seem to be his greatest either. As far as on-screen feats go, it's Meigou or Daifunka if my memory is still good. And as far as deadliness goes, Aokiji's fruit is one of the best in the manga while Fuji hasn't shown anything close. And he can be weaker because age. No, I think what Sanji meant in that panel is ''if you hadn't lost your limb, then there would be no wood leg for anyone to break to begin with'', not that his fighting is the problem. After all, Gin broke his wood leg and that's why he's on the ground. If Gin faces him face to face...I doubt Zeff would lose. And the wood leg is not even a real leg. 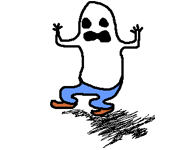 It has no foot. If he actually had a perfectly shaped leg like Aokiji's ice leg then he would be fine. Judge DEW has said the truest words, unless you are Enel or Rayleigh, you never really use CoO in fight, not on-screen for us poor readers to see...I would add Luffy cause he did use it quite a few times post-TS but...still no way near the other 2's levels. So yeah, until we see Fujitora fights more with his CoO, there's no plus point in that department for him. Of course, he has proven to be as good as people with eyes so there's that. But predicting attacks and the likes? No. Hearing thunder...maybe just good ears...in any case, hearing thunder or knowing the roulette results or fighting as if he's not blind are not strong evidences for superb CoO. If you read enough books, badass blind (or not) characters can do that with their ears all the time (Rurouni Kenshin for example). Blind people, even in real life, can train to fight quite proficiently and since this is a fantasy story, it's no big deal that Oda exaggerates it. Of course, that's for other universes but I just want to say such thing is not solid evidence as Fujitora actually showing a panel where he can predict attack like Enel or Rayleigh or Luffy. Lifting stuffs: Great for damage environment but Aokiji's freezing can stop it (or he can dodge it with Soru) or damage environment just as much or even more (changing the climate of half an island and not too far-fetched to say if he wants, he can do that to the whole island or even a big area of ocean with more than 1 island in it since all his freezing feats show he can). Moko (Ferocious Tiger aka side-way gravity): Sabo can endure it even before turning into fire. Aokiji should be able to, too. And Aokiji can just Soru out of the area of effect and use Pheasant tech for example to attack Fuji (which Fujitora can at least defend, I suppose). Gravito (the generic hole-making gravity): Aokiji can Soru out of it and I doubt he would cough blood like Zolo. We're talking about Admiral level here. Physicality/Endurance: Both are Admirals (if such word means anything when it comes to level). But Aokiji, as Abu Dun mentioned, has the better feat (even though not on-screen) of fighting Akainu for 10 days. Normal Combat: Well, Fujitora has the feat of...blocking Zolo's sword and DD's kick...he should be a great swordsman if his title means anything but again, Aokiji is the same. CoO: As mentioned, not giving Fuji's benefit of the doubt here. Effective Attack: Aokiji's Hie Hie no Mi's deadliness is one of the best in the manga. Abu Dun has said it enough, I won't repeat. Fuji hasn't done anything of the same magnitude with his fruit. All in all, none of what Fujitora shows would be beyond what Aokiji has shown and Aokiji has the advantage of his fruit's deadliness. So Aokiji can answer all the ''questions'' Fuji has posed while Fuji only potentially has the same ability. The most important of all is, again, Aokiji's fruit's deadliness. Fujitora displayed superiority over Dragon's strongest subordinate while Aokiji's greatest victory was scored against Whitebeard's probably second strongest subordinate, though there are some that would question his position and push Ace ahead. That does not mean anything since we have no medium to compare the two crew and such ''high-caliber based on position'' argument is too wrong. By portrayal logic, I can also say Sabo is worse than Ace due to childhood record (26-24, was it?) and so Sabo is equal to whoever after Ace so Revo's 2nd is not the same as WB's 2nd .The best case is Ace is WB's 2nd so Sabo would be equal to WB's 3rd who is either Marco or Jozu but since I believe you think Marco is WB's 2nd and hence at best Ace is WB's 3rd and so Sabo is equal to WB's 4th (Jozu/Vista) and that contradicts the reason you bring up your point. In any case, this point is meaningless. 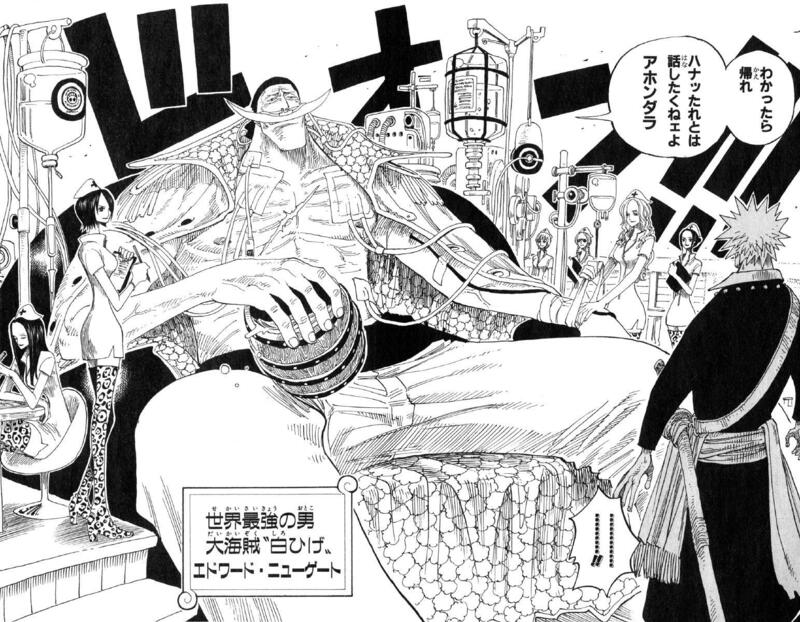 Whitebeard had no problems releasing himself from Aokiji's Ice Block technique and Doflamingo as well was able to recover from an unnamed close range freezing technique. Jozu was able to cause some damage to Aokiji and was only seen losing ground the moment he switched attention towards Whitebeard and Marco had no problem in protecting Luffy from Aokiji and send the Admiral flying a great distance. Are you insinuating because an Ace of that level can fight for 5 days, 10-day fight is not as impressive as we think? If that's the case, there's a difference. Both Ace and Jinbe were lying out of juice, clearly. However, ''after 10 days'' is just the time it took Akainu to defeat Aokiji. It does not establish a limit as in ''they can fight for that long maxed''. I can still have stamina to fight 100 days more, but if by the 5th day, my opponent can put a knife next to my neck, even though I still have stamina, I would still lose and hence the match ends. So the Admirals are not limited in the same way. But of course, assuming they are, 10 days = 5x2. Exactly how do you conclude it not as impressive? And that does not take into account the stamina spent per day. So it can be 20 times higher. Of course, none of this has any evidence, either aside from manga interpretation but the point is the stamina thing you bring up to insinuate ( I said IF that's the case) that 10 days are not as impressive as we think is weak. At least my argument is based on the fact that Akainu and Aokiji changed the environment of the whole island. Freezing and Magma...and the thing is Jinbe fought Ace on land. That was near water but he and Ace stood pretty ''in-land''. But that's just a small observation. Anw, back to the main point. What's the chance for this to be a coincidence, and to what extent the particular match-up can make two individuals appear as closer in overall strength than they actually are ? If we take a look at Punk Hazard, the island is half affected by Akainu's DF and half affected by Aokiji's, so is it not entirely possible for most of their duel to consist more so of a clash between DF powers, a showcase of DF mastery, making less apparent the possible superiority one might have when it comes to other stats ? truly near equal (like 99%), DF or not. And 2 of them support Aokiji in a fight vs Fujitora because being 99% near equal or stronger than Akainu is one of the greatest feat ever in One Piece. Now do you have anything to persuade to believe in the second scenario? And if you do, tell us by how much Aokiji is actually weaker for it to affect his fight vs Fujitora and what feat does Fujitora have (besides those ambiguous ''high-caliber based on position'' argument you say above that I have addressed) to take advantage of that? As I said above to Abu Dun, that tech has ice in it. And then, DF match-ups are a valid point to doubt Aokiji's near-equality to Akainu but what is there to actually believe in it? As I said, the DF interaction in this case is not one-way so Akainu's tiny superiority can be doubted, too. Akainu vs Ace is one-way, but not Akainu vs Aokiji. Edited by Fulmine, 31 March 2015 - 01:45 PM. Sure, age always plays a role, but all the pages i linked are focused on his lost limb and not the effects of aging. Extraordinary perception/observation is what CoO is at the end of the day. Fujitora doesn't only hear thunder but also claims that he can tell the ways of the clouds while being blind, so how else would he be able to perceive that ? To my knowledge Fujitora is the first blind warrior in One Piece, so i don't see how pointing out different fiction or even real life matters if he's the first that proves himself able to efficiently engage in combat without at all relying on his sight. It is extraordinary within the verse, so it's worth pointing out and being taken into account. And it's not like he's doing some basic fighting, he's up against exceptional combatants even by NW standards. Exactly how do you conclude it not as impressive? And that does not take into account the stamina spent per day. The extent to which Punk Hazard was altered is proof of the fact that their powers were used for that long while matching each other. How reasonable is to think that two individuals perfectly match each other for 10 straight days through their DF powers, and then suddenly with fatigue playing no role in that one overwhelms his opponent ? 10 days is impressive since Jinbe and Ace were not weak individuals at all, but again considering the Jinbe/Ace example the match-up seems to be a factor, and we are unlikely to see such extended fights otherwise considering there's no other example that differentiates from the unique aspect of contrasting powers displayed in these two. Are we to forever consider Akainu/Aokiji as stamina monsters that would dwarf EoS Luffy and Blackbeard for example if the fight between them lasts hours instead of days ? I'm not saying they aren't monsters, but to what extent will their encounter give them credit over anyone else? To what extent does that give them an advantage over a fellow Admiral that might not come across someone that contrasts his DF power in a similar way in order to create the same conditions and prove himself more or less worthy than the two ? Akainu has superior portrayal overall though and did come out on top as the winner. Outside of their fight Aokiji's greatest victory was against WB's second or third strongest subordinate, while being unable to cause any real damage to Whitebeard and being stopped from accomplishing his goals without retaliation from his part by Marco. Meanwhile Akainu managed to cause damage to Whitebeard not once but twice, serious injuries especially the second one, and was only temporarily stopped by both Marco and Vista before Whitebeard stepped in. With that in mind he deserves to be given the benefit of the doubt more so than his former fellow Admiral. Based on what we know, at the end of the day Aokiji suffered serious injuries and was at Akainu's mercy, while Akainu was in better shape, with no permanent injuries such as a lost limb. Also in regards to your Ace vs Sabo comparison, you're using outdated data. Child Ace was almost Sabo's perfect equal, so he would have probably have been just slightly stronger if he was currently alive as well, it's a reasonable assumption. But to compare MF ace with current Sabo, considering Sabo has another two years of growth under his belt no longer holds any weight. It actually helps Sabo's case in being quite a bit stronger than that, if not significantly so. He had every reason in the world to get stronger after his brothers death and considering his current determination to protect Luffy, and he was at an age where he had a lot of room to grow, and still has since he's really young. Whitebeard believed Ace has what it takes to become PK and Sabo was nearly his equal when they were kids, so according to your own reasoning do give credit to a 20 years old individual with nearly PK level potential to get a lot stronger in two years. Now for the specifics of Fujitora vs Aokiji. Aokiji always manifested himself and his DF power in form of ice. His body was always solid, it cracked, got crushed to pieces, kicked around etc. So he would need to overcome the gravitational force and not bypass it. When Fujitora used the technique against Sabo, we could see Sabo struggling to hold his ground and getting pushed back, while when he turned to fire he basically immediately darted through the technique without looking like he's being pressured. Are you certain there's no connection with the fact that he no longer had a solid body when he did that, given the disparity in terms of how difficult it was to deal with the technique after he turned into fire? To what extent can Aokiji deal with a rain of meteors while Fujitora levitates above the battleground ? I'm sure he will not have too much of a problem with a few, but those come at a high speed and cause explosions in contact with the ground. That happened even after the Birdcage sliced a few. Aokiji's fruit does have that one shot potential, but he actually never pulled it off in a 1 vs 1 against a top tier. Jozu could deal with it until he was distracted, and even then Aokiji had to settle with an arm first and then press his advantage. How lethal will that be in a 1 vs 1 against a fellow Admiral ? Edited by Sanji, 31 March 2015 - 02:58 PM. Right now I say they are about even, maybe with his injuries that Aokiji sustained, Fuji edges it. Edited by Furinji Saiga, 31 March 2015 - 04:51 PM. Extraordinary perception/observation is what CoO is at the end of the day. Fujitora doesn't only hear thunder but also claims that he can tell the ways of the clouds while being blind, so how else would he be able to perceive that ? To my knowledge Fujitora is the first blind warrior in One Piece, so i don't see how pointing out different fiction or even real life matters if he's the first that proves himself able to efficiently engage in combat without at all relying on his sight. It is extraordinary within the verse, so it's worth pointing out and being taken into account. And it's not like he's doing some basic fighting, he's up against exceptional combatants even by NW standards. Well, like the way we thinks human in One Piece have 1 heart, lungs, kidney etc, like us unless told otherwise? Maybe you don't...I guess my point is trashed in that case...The fiction one is just to show that extremely good hearing can do that. And let say even if CoO has such ability, it's still not clear whether that is identical to what Enel, Rayleigh, Luffy do for it to be a factor in fight. It doesn't have to be like them to be a factor, but we haven't seen Fuji making use of it in a fight. I thought with how the DD vs Jinbe went, people should understand how on-screen feats (and in a fight depends on circumstances) are important for debate like this. The extent to which Punk Hazard was altered is proof of the fact that their powers were used for that long while matching each other. How reasonable is to think that two individuals perfectly match each other for 10 straight days through their DF powers, and then suddenly with fatigue playing no role in that one overwhelms his opponent ? but again considering the Jinbe/Ace example the match-up seems to be a factor, and we are unlikely to see such extended fights otherwise considering there's no other example that differentiates from the unique aspect of contrasting powers displayed in these two. So only ''seems''? And where does this ''seems'' come from? Logic or just ''I feel it''? What I see so far is you pick 2 similarities between the two fights and use them to question Aokiji's fighting prowess but that's why I said in my last post: aside from observing such similarities, what basis do you have to link them together and link both to Aokiji's being more weaker than we think and that his fruit helps him (instead of Akainu being weaker than we think and that his fruit helps him) and even more, why should we take that idea seriously? Unless you can provide these, your argument forever stops at ''guys, I spot these similarities. I think they have a role but I can't prove how''. Oh, or is that what you're doing? Well, then it's pretty easy, I can only answer ''speculation remains speculation''. 1st similarity: There's at least one Rokushiki user in each fight. 2nd similarity: neither fight is longer than 5 chapters. and then how do I show it's feasible instead of ''manga fights like that are simply generally that long (unless there's swinging of scenes) and there are two Rokushiki users cause...it's Ennies Lobby arc where CP-9, a bunch of Rokushiki users are the antagonists''? Inb4 ''But this is different. Rokushiki and swordsmanship and Leg fighting are not ''opposite'' elements''. So? Precisely because they are not that the length is short, don't you think? ''But Fulmine, Aokiji is closer in fighting to Akainu than Barty to Hakuba's speed''...well, so we agree? Of course Aokiji is super close to Akainu. Never think otherwise. So then again, how are you going to show me and the judges that your idea of having Freezing power helps Aokiji against Akainu more than we think and somehow that would not apply to Akainu is a worthy one? Are we to forever consider Akainu/Aokiji as stamina monsters that would dwarf EoS Luffy and Blackbeard for example if the fight between them lasts hours instead of days ? No. I don't know who you are asking but I didn't say anything like that, just in case. I even pointed out 10 days are simply the time it took for Akainu to beat Aokiji. It does not establish a limit and if it does, it's more than simply double the time Ace and Jinbe took because the output is astronomically higher. Similarly, Luffy vs BB may end in 2 hours and that is because one can beat the other in that much time and for all we know, in that 2 hours they may change the conditions of the whole Earth. So no, that's never my point. The point here is very simple. This is feat-based debate. Aokiji shows he can fight for 10 days and be a match to Akainu. Fujitora hasn't. That's all. Your point of elemental interaction needs more back-up as I have explained above. If some swordsman on Wano shows up and cuts the Red line in half or beats the snot out of Kizaru by blitzing him and CoA-overpowering him, he would win against Mihawk in debate like this, hype like WSS title does not matter. Inb4 ''but you say it Fulmine, this is feat-based debate. Aokiji didn't do it. He didn't manage to hurt WB as much as Akainu''. That's right, but you should know that every rule or law needs to be applied flexibly. More accurately, in this case, it is not to take the rule too literally (which means if a character has another equally awesome feat, he can be excused of not doing X''. If Aokiji never fought Akainu for 10 days, you can use that very line from me to retaliate. But Aokiji did fight Akainu for 10 days...that's the distinction. Marco and Vista? Yeah, but did Marco actually hurt Aokiji? Nope...Jozu did, and that's when Aokiji was occupied by WB. Your attempt at using the positions of the Commanders still needs better basis. Keep repeating it does not make it right. Yeah, no one disagrees about the fact Akainu won. So what's the point? O___O are you trying to say Akainu had to lose something and lying on the ground for them to be near equal? I don't think that's how fights are interpreted, the same way people don't just take a 2-hour fight's fighters to be less durable than 10-day fight's fighters. You can be extremely close in fighting strength and in that last moment after days of fighting, you finally find an opening and make the best out of it and kill your opponent. That does not make your opponent weaker than you by a longer shot than he/she actually is. It's like football. 2 teams don't have to draw in every stats (number of shots or number of successful passes etc), till extra time finishes and have like 12345 penalty shots taken to be deemed near perfectly equal. The match can end right in 90 minutes and 2 sides can thought of as near perfectly equal, with the only difference in that last free-kick from Ronaldo. This is what I'm trying to fish out from you. Not to mention I was just following your portrayal logic. There's still your work which is showing how such logic actually holds any water in this debate that needs to be done cause as far as I can see, how Yonkou Commander-level is related to Revo's 2nd in Command is still a myth. And in any case, so Fujitora's best feat is taking care of Sabo. Aokiji's is 10 days against Akainu. Aokiji>Fujitora by feats. I didn't say it but you just use weak reasoning to downgrade the Akainu's match then use Jozu's position to hype Sabo an din turn hype Fujitora...how convenient! I have already given an explanation how fire would be affected if left alone. Plus, are you sure the only difference is Sabo turning into fire? Or the difference is before Sabo was only...you know, standing while after, Sabo using fire to launch himself, in other words, he simply use ''force vs force''? To what extent can Aokiji deal with a rain of meteors while Fujitora levitates above the battleground ? That happened even after the Birdcage sliced a few. Aokiji's fruit does have that one shot potential, but he actually never pulled it off in a 1 vs 1 against a top tier. Jozu could deal with it until he was distracted, and even then Aokiji had to settle with an arm first and then press his advantage. How lethal will that be in a 1 vs 1 against a fellow Admiral ? Where did Fujitora pulled anything better against top-tier? Again, you Aokiji fought Akainu. Until you show me how I should brush that aside and start counting Aokiji's feat only from Jozu downwards the tier list, I will use that and FYI, Fujitora has zero feat against anyone of same caliber. So if both hasn't done something, we go for the one with higher potential. Aokiji's freezing can deal with Fujitora's meteors no problem and it has shown to be deadly if landed. I think I have said this: admirals fights are hard, indeed. But when it comes down to it, we can only use feats and Aokiji has better. I give this to Aokiji, simply based on the feats we've seen thus far. -Theres no proof to say Fujis meteors can be imbued with haki (in fact, we haven't seen objects geting CoA unless the user touched them before), so the meteors wont hurt Aokiji. 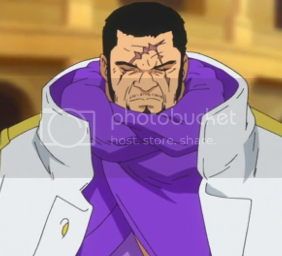 -Theres no proof to say Fujitora can use haki in his gravity techniques. When he pushed Sabo, sabos real body didn't look like hurted, in fact, he turned into his element, so as far as we know, if Fuji used that against aokiji, aokiji would just turn into ice but not get injured. -The only haki-like feat I can remember from Fuji is the fact that he stoped Sabos fire kick, and sabo had some bruises so he has haki for sure, but as we dont have proofs to say he can use CoA in gravitational attacks, the most logical explanation i find is Fuji can hurt logias in close-range fighting moments, which is dangerous against someone who can freeze you at contact. Finally, we should take into account Aokiji is a guy who fought nearly on par with the actual Fleet admiral, so portrayal does give a slight advantage to Aokiji. As a conclusion, even if gravity, as far as we know, cant hurt Aokiji, it can push him back, and make it harder to land a hit, and close range battle would be a bigger risk for fuji than long range one. So basicly, we need more Fuji feats or battles to reach a clear conclusion, but I would give this to Aokiji. We have, however, seen heat negating Aokiji's fruit. And Fujitora's meteors are hot. We don't know how hot, and we know Aokiji can deal with copious amounts of magma, but if Aokiji is hit by a meteor he didn't see coming I bet he'll be in some trouble. So no, the meteors are not a non-issue at all, they're a significant part of the battle. Fujitora could call down a number of meteors that he knows will strike at particular points in time (an hour from now, an hour and 6 minutes from now, et cetera). Aokiji will presumably see this and will thus be wary, but it still means that Fujitora can engage in melee without worrying about them because he knows when they'll strike - whereas Aokiji will have to keep a look out. Not a game-winner in and of themselves, but a significant part of the battle. Yeah. Fujitora either needs physical objects he's come in physical contact with (like the Kuja arrows), or he needs heat. Those are the two main ways he can harm Aokiji. It's dangerous, of course, but it's also dangerous for Aokiji to fight a CoA-using swordsman in melee. Both people are in danger of losing, it's not like this is a walkover. The main advantage Fujitora's gravity gives him is the ability to dictate the course of the battle. He can control his opponent's location and momentum, which means he can enhance his own attacks by pulling his opponent towards him - or weaken the opponent's attacks by pushing them away. It's not to be scoffed at. Spoiler for the OneManga quotes! DD remains overrated. He has reached an all time Law. Law's plot armor also has a secondary effect of PIS. He'll use a derpslice and Zoro will try to kick it away because he'll think he is Sanji. George Lucas! Politics and trade agreements for everybody! And light sabers! A few hundred chapters of the WG geezers talking about ... stuff, then ... nothing! With light sabers! Sanji joins the dark side and does ... things, in a very weird voice, just because, no particular reason. With light sabers! Watch Zoro trying to juggle three light sabers that might burn him to bits at any moment! With light sabers! Chopper will get a speech impediment and starts bumping into things for no apparent reason. With light sabers! Nami looses 100 IQ points and starts to wear really white make up that make her look like a not funny circus clown! With light sabers! Follow Luffy's fascinating journey to become the emperor of the galaxy ... i mean the sea, filled with speeches that last forever and not really saying anything, talking to people while walking past windows showing scenery we wish we could travel to in which we could have a decent scene and trying to control the senate ... i mean island rulers with long speeches that last forever and not really saying anything but sounding important! With light sabers! Also Franky gets a new coat of gold paint that makes him really shiny! With light sabers! Did i mention light sabers? Come on people, they are shiny, people love shiny things! Dofla is swinging from the clouds by his marionette wires. Zetruz-sama~ has shown me the light, Zoro > Sanji in terms of strength, speed and probably cooking if he ever put his heart to it. Its amazing how much knowledge Zetruz-sama holds, he has truly lead me to enjoy OP for what it really is and now that I see the truth of the power levels, I can enjoy it even more. All hail Zetruz-sama~. Anything that zetruz likes is overrated and trash. What drugs do you take? Zoro would win the strongest man poll even if he was up againt WB. Zoro would also win strongest fishman against Jinbei despite not actually being a fishman. Do you one piece or? The words "zetruz x Tale" cause me physical ecstacy. Kanjuro is drawing lettuce to eat? It would be funny if he drew the portrait of cabbage with his awful drawing skills. Can we have a panel where Burgess has to steer the ship at all costs and someone yells "Jesus, take the wheel"? Spoiler for my Skype adventures! I blame others for my self-imposed suffering. I'm a metaphor for everyone else's life. Tomorrow is Ash Wednesday, so we can't eat meat because we're obligated to make a sacrifice. I explained to my mom that there a ton of other kinds of foods I'd prefer over meat (like pizza), so not eating meat wouldn't sacrificing anything. Not eating those foods would be sacrificing something. .
She agreed. But we're making pizza tomorrow. [02:57:12] Petite: Did your team win? [02:57:44] zetruz: you mean the United States of America? Wait, have we ever seen him capable of using a ''timed bomb'' style technique like that? Also, every time he wants to call meteors, need he do some sort of movement/gesture? Those can give him away to Aokiji, unless he can manipulate the falling speed but that is back to question 1 again. He did do that? I don't remember. I suppose that's a reasonable assumption given how we think of his DF power as ''gravity'' though. And that he can do horizontal pushing force. He can manipulate the falling speed by manipulating the gravitational force. (Which he can do, as proven by this page.) As for whether or not he has the mental facaulties to make use of this proposed strategy, that's something we can't prove one way or the other (though we do know he's extremely observant). But it can be done. And because he can pull celestial bodies towards him. Oh, I forgot to say ''fast enough to ambush Aokiji''. I know the theory. Yeah, that's included in the ''gravity'' part. Even with the speed of the meteors that we have seen, it could be doable assuming Aokiji is kept very busy by a meleeing Fujitora. Also, what happens if Fujitora calls down a meteor, then goes up in the air (by jumping or by using his power), and then pushing Aokiji down into the ground from above? It would potentially stop and definitely at least slow Aokiji, meaning he'd have to endure the full force of the meteor. Do we know that Aokiji could deal with that? Right. we know he can pull meteors down, we know he can pull piece of rocks up, and we know he can push people sideways. No reason to think he can't pull people towards him. Do we know Fuji can do 2 or more gravity attacks at the same time like that? And Aokiji can always Soru out of the way. Fuji's biggest AoE shown till now is nothing Aokiji cannot escape with his Soru.